Your experience begins as you board Nauti Clew. 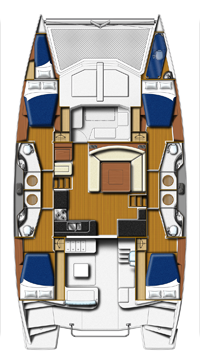 With her many amenities such as a large cockpit seating 6 or more comfortably, swim platform, salon below, forward and aft births, dining settee, full galley marine head and shower. As you leave the dock all hands on deck for marine mammal and tropical bird watching. The waters of the Indian River are abundant with dolphin, manatee and birds of all kinds. Just a few minutes from the dock we raise sails and you can be at the helm sailing or just kicking back and relaxing as your Captain takes her to windward. The Indian River begins south of Daytona Beach and ends north of West Palm Beach. Our cruising area is from Cocoa Beach south to Vero Beach. Most day cruises are in the Melbourne area. Because of the calm waters of the Indian River Lagoon we will not experience large ocean waves. Charter cruise rates: $95 per hour with a two hour minimum, which allow up to 4 sailors. You may add additional sailors for $25 per hour per person. NOTE: For some Holidays, the above fee’s may be slightly higher. Check with Captain Mickey. 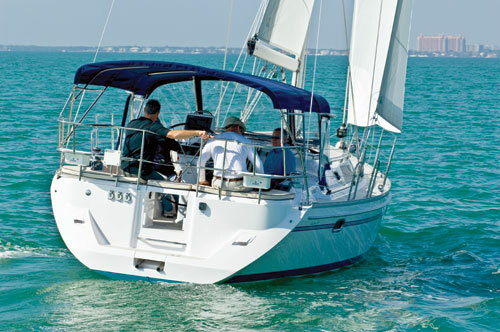 We offer beginners and refresher courses and can help you with information and knowledge of coastal sailing and Bahama’s Cruising. 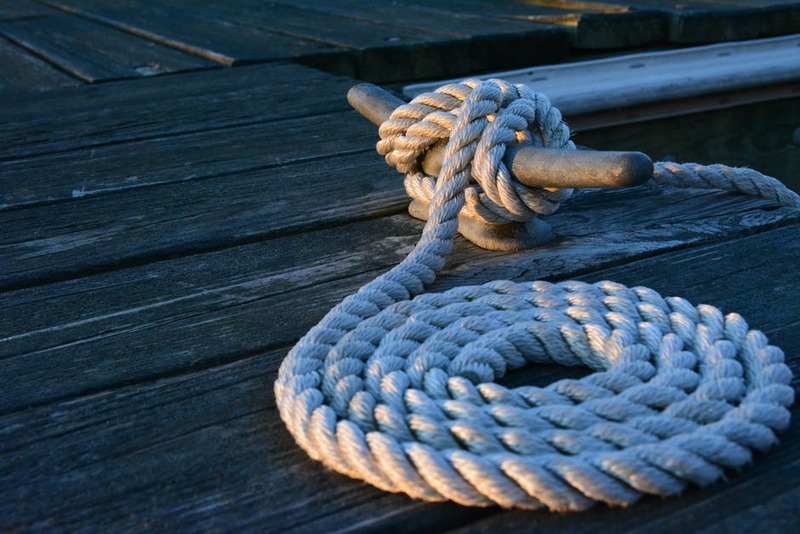 Readying your vessel for a cruise, provisioning, charts and much more. Cost: $95 per hour (2 hour minimum). No more than 2 students per lesson for personalized instruction. We fly to an exotic destination and board our sailing yacht which will be our home on the water for the next week. Exploring island countries and their customs. Most days spent sailing past beautiful scenery and snorkeling crystal clear waters. Stop for lunch on a beautiful beach or anchor for the evening and dingy into shore for some local cuisine. Each sailor can take the helm or just sit relax and take in the beauty as we sail by. 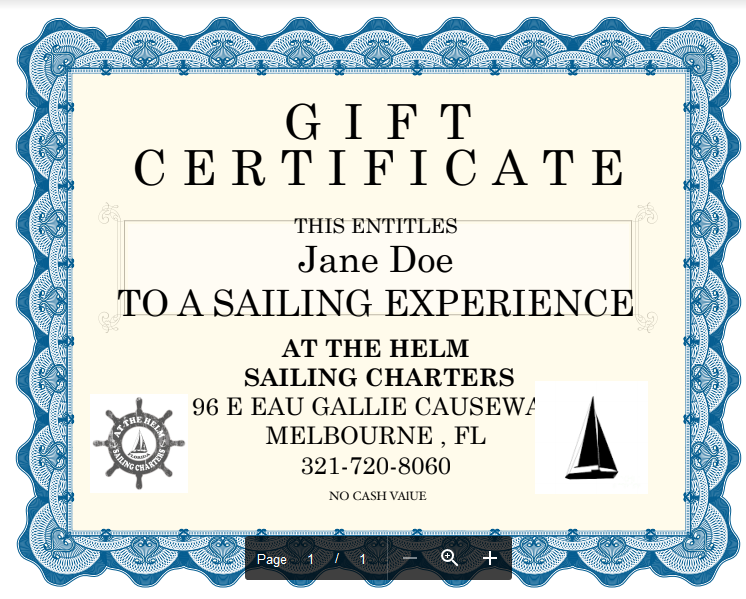 For the perfect gift any time of year, choose and At The Helm Sailing Charter Gift Certificate. We want you to feel comfortable booking a sailing charter with us, so dont hesitate to contact Captain Mickey!